Hello and welcome to another update of your and our favourite deep/tech/progressive music of last 2 weeks or just older but still fresh tracks from the producers all over the world! 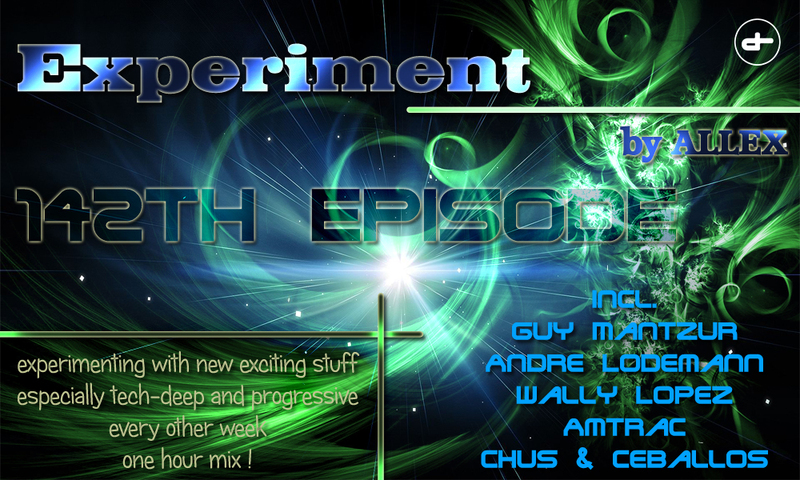 Experiment episode 142 will contain high quality sound from artists such as Collective Machine, Guy Mantzur, Andre Lodemann, Harry Romero, Chus & Ceballos and much much more! But to not forget, you can expect 2 tracks from Allex own studio, Guanabana & Macchiato from his upcoming EP on London based Green Mono Music Studio!